Today brings with it great news! I am glad and excited to be able to introduce to you a very fit lady with a vast experience in fitness accumulated over a number of years practicing a variety of sports. I have known her since I was a kid but I have only discovered her passion and competence in fitness a few months ago when I met her after many years. 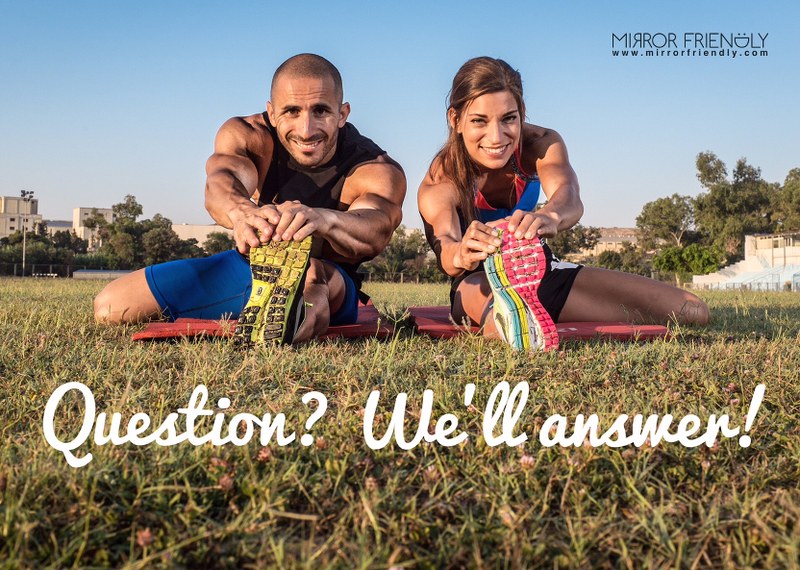 Tanya’s knowledge in fitness is priceless and I have hence invited her to start sharing it with us at Mirror Friendly, an invitation which she eagerly and very kindly accepted. My name is Tanya. I am a Canadian of Maltese decent. I currently live in Mississauga, which is a large suburb just 20 minutes from Toronto, Ontario. Like Andrew I am passionate about health and fitness. I have been involved in fitness in one form or another for as long as I can remember. I was always active as a young child. I played on a number of sports teams when I was in grade school including basketball, baseball and athletics. As I moved into my high school and university years, I participated in activities like karate, kickboxing, aerobics and weight training. I presently work out 5-6 days a week and my fitness routine consists of weight training 3 times a week and cardio 2-3 times a week. For cardio I enjoy boxing and high intensity interval training, such as sprinting intervals on the treadmill and Tabata. Occasionally I do yoga to balance out my intense work outs and I always ensure I have a good rest day or two for proper recovery. As I’m sure you can tell, I enjoy variety in my fitness routine but gravitate towards more high intensity training. I like to switch things up to keep my body guessing and keep the workouts interesting and challenging. I have recently tried CrossFit and I love it! My interest in fitness sparked a desire to learn more about proper nutrition and living a healthier lifestyle in general. So in 2012, I enrolled in the Canadian School of Natural Nutrition to become a Certified Holistic Nutritionist. I’m currently completing the program on a part time basis in the evening after I come home from my full time job. I expect to be certified by mid next year. I really enjoy sharing what I know with anyone who wants to listen. I believe that everyone should look and feel their best but there is no magic pill! It takes work and commitment. I also believe that fitness is for everyone, there are no excuses, you just have to find what you love and the results will follow! In June 2015 Tanya graduated as a Holistic Nutritionist at the Canadian School of Natural Nutrition and since then she is offering her nutritional services online. So for those of you who want to get in touch you can do so via her newly launched website here. Very glad to have you on board Tanya!